Maintaining smooth traffic flow in a bustling metropolis like Los Angeles is challenging enough under optimum conditions. But when special needs arise, traffic management in LA requires a rare expertise. That expertise is capably provided by Roadway Construction Services (RCS). RCS handles traffic management in LA with precision and thoroughness not found with any other service. To say they do it all is no exaggeration. Let’s start with traffic control and planning. Supreme competence in this area is particularly crucial now that holidays such as Memorial Day and The Fourth of July are just around the corner. Parades will be marching, people will be gathering, and plenty of vehicles will be traveling the busy roads. RCS has proven itself more than up to the task of handling LA traffic management for special events such as these. When the RCS team is on the job, the city can count on their complete involvement with all critical phases of special events traffic control: Planning; Coordination with Event Staff; Advanced Notifications; and Safety Service. Of course, LA traffic management goes well beyond special events. But no matter what the situation, the right equipment is crucial for success. RCS definitely fills the bill in this area. Their equipment rental services for traffic control begin with an absolutely incredible selection of cranes and trucks. Rest assured, what you need, they’ll have – when you need it. 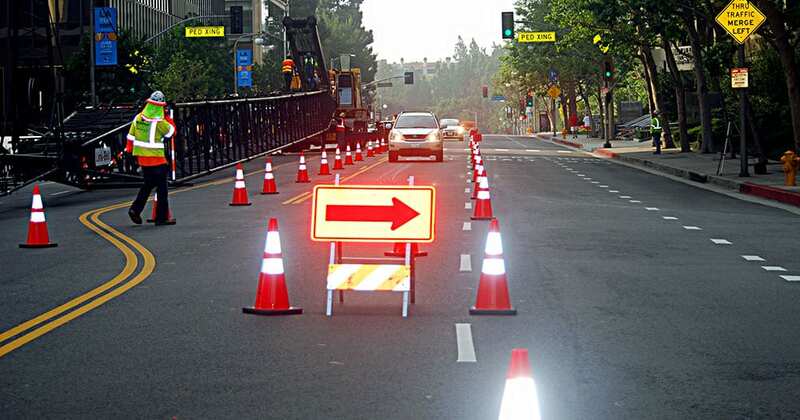 RCS also supplies cones, barricades, delineators, arrow boards, message boards, and K-Rails (concrete and water-filled) – all at amazingly competitive rental rates. If you’re not sure of specific needs, no worries. RCS offers expert planning provided by their acclaimed team of traffic control specialists. But the story doesn’t end with cones and k-rail. RCS ensures all needs are covered with comprehensive transport and setup services. This means, pick-up, drop-off, and complete assembly. You needn’t lift a finger except to place the phone call. Indeed, RCS covers the waterfront when it comes to LA traffic management – no matter what the requirements or situation. If you’re interested in learning more, contact RCS for a complimentary consultation. You’ll discover why they’re the go-to service for traffic management in L.A. and all of Southern California.